Splitter - VGA 8 Output unit. Displays images from your computer on up to two monitors. 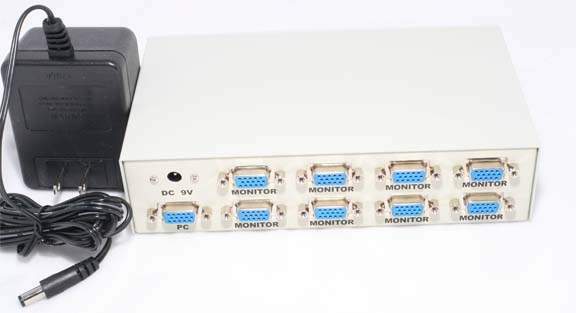 Connects Monitors and Amplifies up to 245ft Away. Perfect for Classrooms, Training, Conference Halls, Retail Outlets.